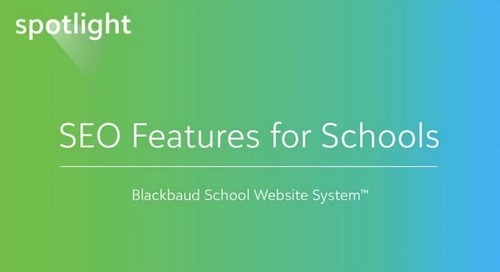 Since it’s debut in mid-2013, hundreds of private schools have launched new websites on Blackbaud School Website SystemTM (formerly onMessage), our content management system. 60% of schools reported an increase in admission inquiries. 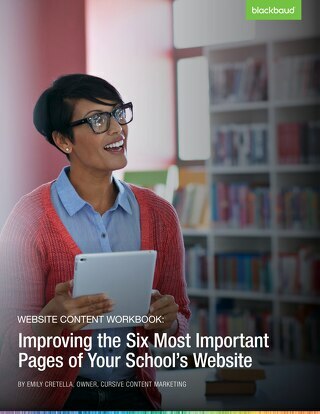 80% of schools reported an increase in user time on site. On average, schools are posting 6 or more pieces of content per week. But what about the very first school to launch an Blackbaud School Website System (formerly onMessage) site. Which school embraced the early adopter role? How has their site evolved over the past few years? 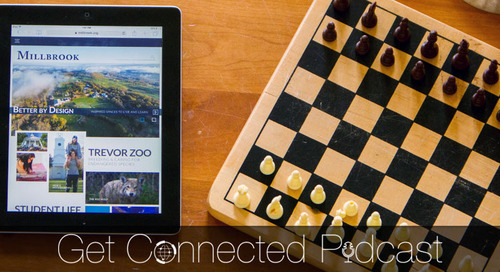 In episode 27 of Blackbaud K-12’s Get Connected podcast, Emma Castro, Communications Manager, Rodeph Sholom School, joined me to share their story (and to answer the second question above). Learn what it was like to be an early adopter, why Blackbaud School Website System's (formerly onMessage) flexibility and granular level of control appealed to Rodeph Sholom, and how they’ve iterated the site since its July 2013 launch. As a bonus, Emma shares tips on how your school can prep for a site redesign based on Rodeph Sholom’s experience. As communications manager, Emma is deeply involved in managing/overseeing the school’s online strategy. 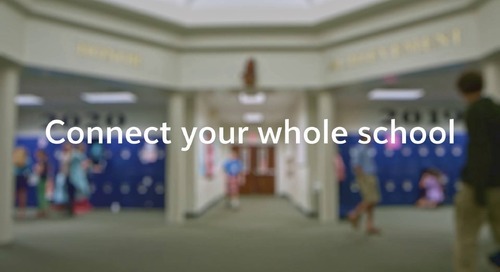 Learn how she and the team at Rodeph Sholom School have positioned the site as a marketing tool. Emma shares what drew her and the school to becoming the first site launched on Blackbaud School Website System (formerly onMessage). Learn about the particular aspects of the CMS that stood out. 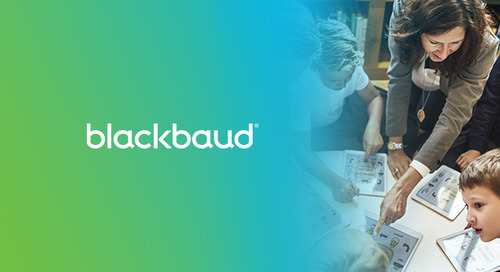 Given the level of control that Blackbaud School Website System (formerly onMessage)​ affords schools, you can extend sites in ways that weren’t previously possible. Hear how Emma embraced this to spin up a summer site on her own and utilize navigation options like mega menus. 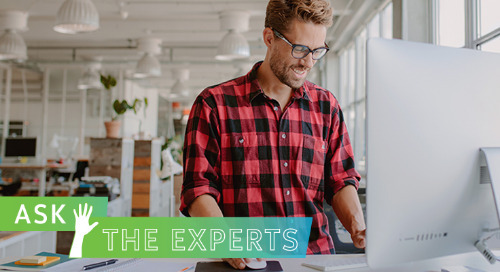 Emma answers the question: do you think the level of control that comes with Blackbaud School Website System (formerly onMessage)​ has extended the “shelf life” of your site? 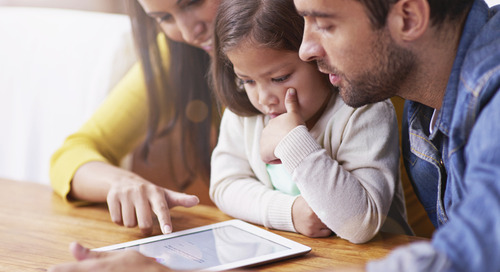 Knowing the competitive nature of admissions in NYC, learn how onMessage helped Rodeph Sholom School to improve the ways it communicates its value to families. Hear how parents have reacted to the school’s site. Emma shares their site feedback. Knowing what she knows now about Blackbaud School Website System (formerly onMessage)​ (and if she could hop in a time machine and head back to 2013), learn how Emma would you approach the design process differently. 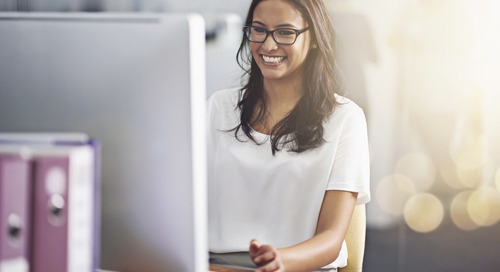 Let’s get prescriptive — Emma offers her advice for a school considering building a site on Blackbaud School Website System (formerly onMessage)​.